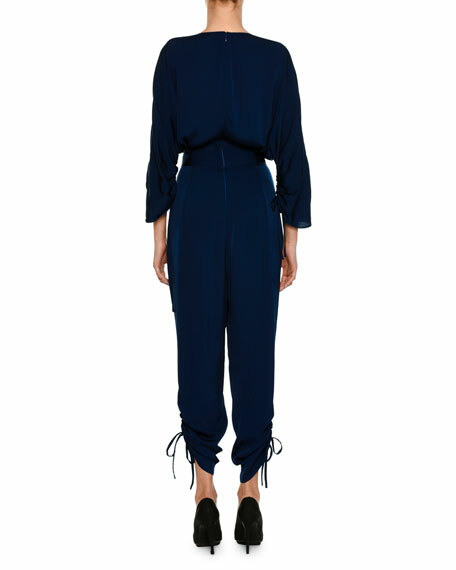 Stella McCartney jumpsuit in lightweight cady. Adjustable ties at hem and cuffs. For in-store inquiries, use sku #2352703.